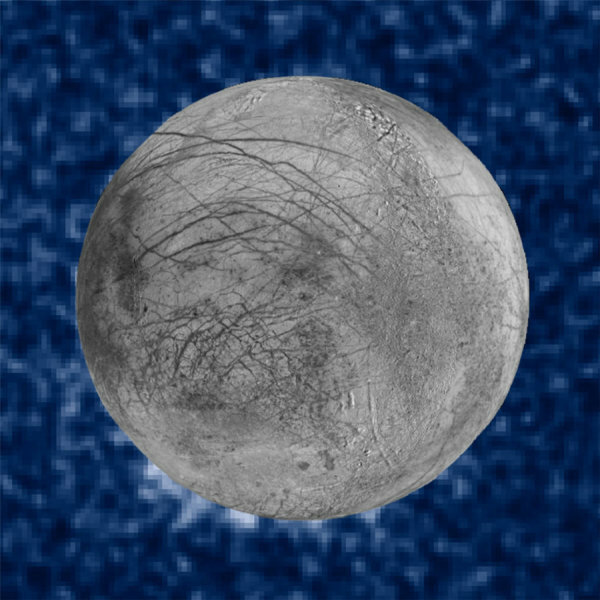 Astronomers using NASA’s Hubble Space Telescope have imaged what may be water vapor plumes erupting off the surface of Jupiter’s moon Europa. This finding bolsters other Hubble observations suggesting the icy moon erupts with high altitude water vapor plumes. The Hubble Space Telescope is a project of international cooperation between NASA and ESA (the European Space Agency.) NASA’s Goddard Space Flight Center in Greenbelt, Maryland, manages the telescope. STScI, which is operated for NASA by the Association of Universities for Research in Astronomy in Washington, conducts Hubble science operations.